In 2010, Shail Mayaram held a Visiting Chair at Tel Aviv University for three months. 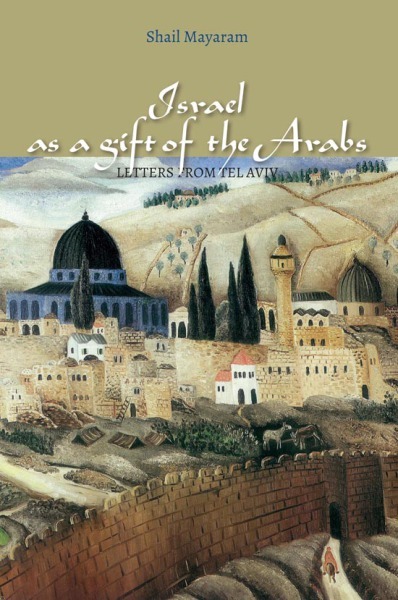 The letters that she wrote to family and friends, and the photographs she took on many trips in the region at the time are brought together in Israel as a gift of the Arabs. The book describes the author's experience of being in the Holy Land - now partitioned into several nations-states and zones by national borders and barbed wire fences, walls and checkpoints, and hostile to traditional pilgrimages, pastoral and modern mobilities. The region is a fast deteriorating conflict zone in which hyper nationalism implies death, devastation and displacement for many. Is it possible, however, to think differently about the relations between Jews and Arabs? Historically, empires and states outside Europe actively sustained Jewish life, livelihood and learning. In the twentieth century it was land sales of individual Arabs that enabled the birth of Israel. If we read these land transfers as a gift- however unintended and inadvertent- the moral question that demands a Jewish response is their reciprocity for the gift of their homeland. Envisioning peace means changing the very paradigm of thought and action, which could then possibly bring an end to the ceaseless spiral of violence and counter violence.